Norma Shearer is one of a number of actresses who, although once household names, are now largely forgotten or ignored by the film-going public. There has been a resurgence of interest in her career and she is now being reevaluated as one of the first “modern Women”, a feminist in all but name who made it permissible on screen to be single and a girl about town. She pioneered the depiction of a new type of emancipated woman, living her own life. She began he career in Silent movies and came to the attention of the dynamic young MGM producer, Irving Thalberg, who gave her a five year contract, and she was cast in the studio’s first official production ‘He Who Gets Slapped’ in 1924. Norma soon became a major silent movie star with MGM and when she married her boss, Irving Thalberg in 1927, her career began to skyrocket. The transition to Talkies caused her no difficulties and she appeared in a string of successful movies in the early 1930’s such as 1931’s ‘Private Lives’ and ‘Riptide’ in 1934. 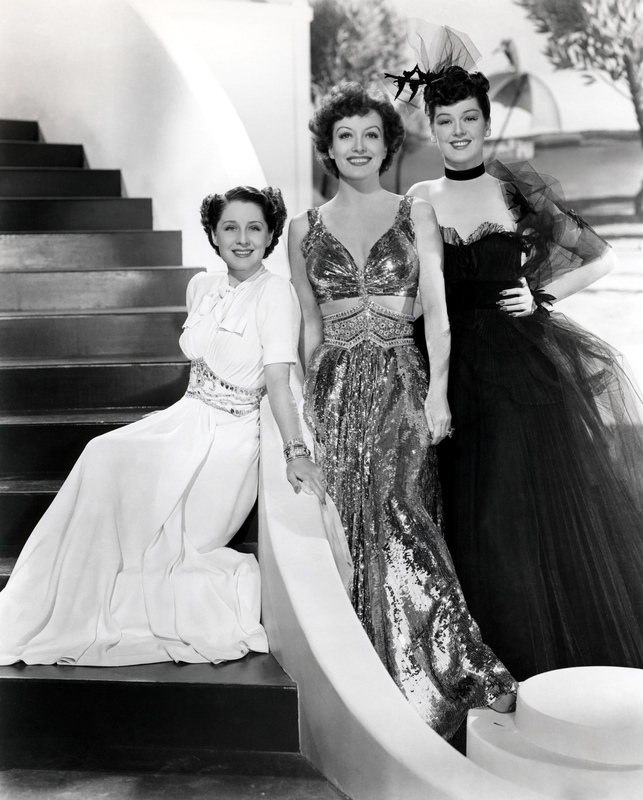 She lost her mentor in 1937 when Irving Thalberg died but she made 6 more movies with MGM, including one of her best works, ‘The Women’ in 1939. It was almost her last throw of the dice. In 1942 she retired from movie making and consistently refused all inducements to return. Norma Shearer died in 1983, aged 80. This entry was posted in 1930's, Actresses and tagged 1939, actress, irving thalberg, john_wayne, louis b mayer, norma shearer, the women. Bookmark the permalink.